There is now a Google site with up-to-date information about the passing away of Ven. Sayadaw U Pandita. The site also contains news about the retreat center. The new Panditarama Lumbini Facebook page has further information about Sayadawgyi's passing. April 16, 2016 - With much sadness we announce today (April 16, 2016) the passing away of Sayadawgyi, the Ven. Sayadaw U Pandita, at the Bumrungrad hospital in Bangkok, Thailand. He had been hospitalized since before mid-March in Bangkok. We all will dearly miss his kindness and compassion. Words can't describe what a great loss this is to all of us. The Ven. Sayadaw U Panditabhivamsa of Myanmar (July 29, 1921 - April 16, 2016) received his ordination 1941. After years of intense studies he earned degrees as a Dhamma Teacher (Dhammacariya) and as a Cetiyangana Abhivamsa between 1949 and 1952. In 1950 he undertook his first intensive meditation retreat at the Mahasi Meditation Center, Yangon, Myanmar, under the guidance of the Ven. Mahasi Sayadaw. He joined the Mahasi Meditation Center as a permanent meditation teacher in 1952 and eventually became the successor to the Ven. Mahasi Sayadaw in 1982. From 1984 onwards Ven. Sayadaw U Panditabhivamsa conducted many meditation retreats in North America, Europe, Australia, and Asia. In Europe he has taught retreats in England, France, Germany, Italy, Austria, and Hungary. Following in the footsteps of the late Ven. 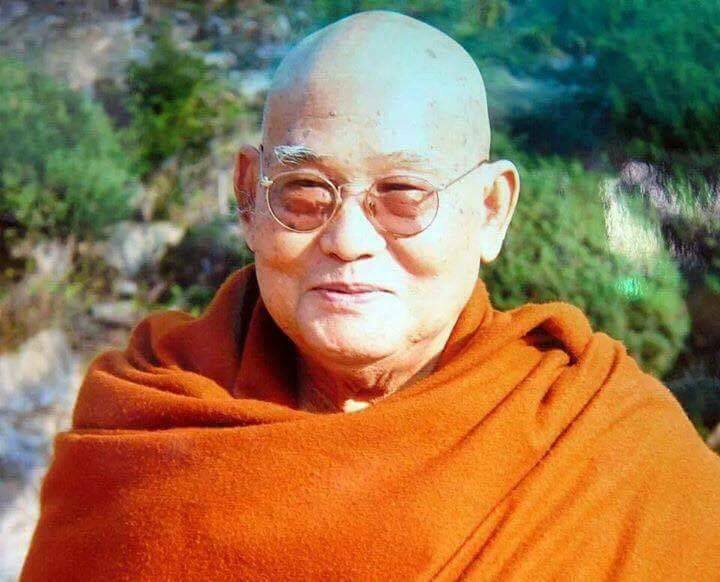 Mahasi Sayadaw he has been instrumental in establishing Vipassana meditation in the tradition of Mahasi Sayadaw outside of Myanmar. In 1990 he founded the Shwe Taun Gon Meditation Center in Yangon where he frequently resides. In the following ten years a number of meditation centers in Myanmar and abroad have been established under his spiritual guidance. The main meditation center in Yangon has a study program for Burmese and foreign nuns that prepare students for the Dhamma Teacher examination. A number of books go to the credit of the Ven. Sayadaw U Panditabhivamsa, namely ‘In This Very Life,‘ which has been translated into almost ten languages, ‘On the Path to Freedom,‘ ‘Raindrops in Hot Summer,‘ and ‘One Life’s Journey,‘ and others. The Ven. Sayadaw U Panditabhivamsa is a renowned meditation master and scholar who has devoted his life to the practice, study and teaching of Vipassana meditation in particular and of Theravada Buddhism in general in Myanmar and abroad. Through his profound knowledge of the Dhamma and impeccable virtues he keeps inspiring many people.